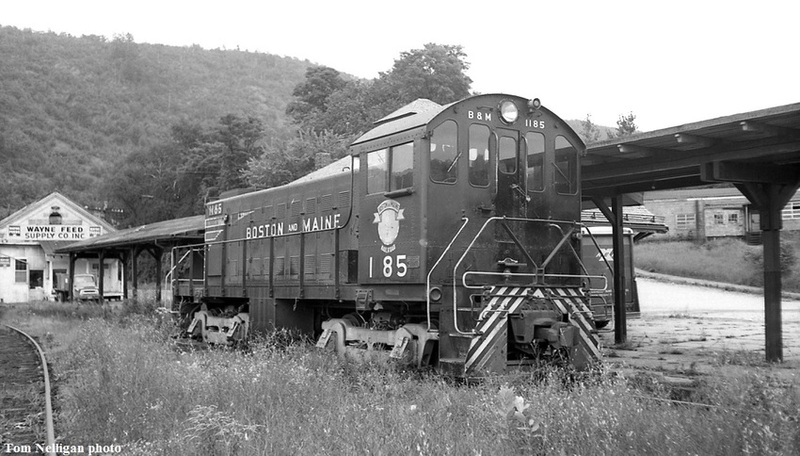 Back when the Boston & Maine still assigned a switcher to Bellows Falls, Vermont, S1 1185 rested at the weed-choked platform on the Rutland/Green Mountain side of the station. The Alco somehow lost a digit from the road number on the cab. Photographed by Tom Nelligan, August 9, 1967. Added to the photo archive by Tom Nelligan, August 6, 2018.